The 2019 ECONOMIC SUMMIT & REALTOR® DAY AT THE CAPITOL is a two-day event held in Denver. 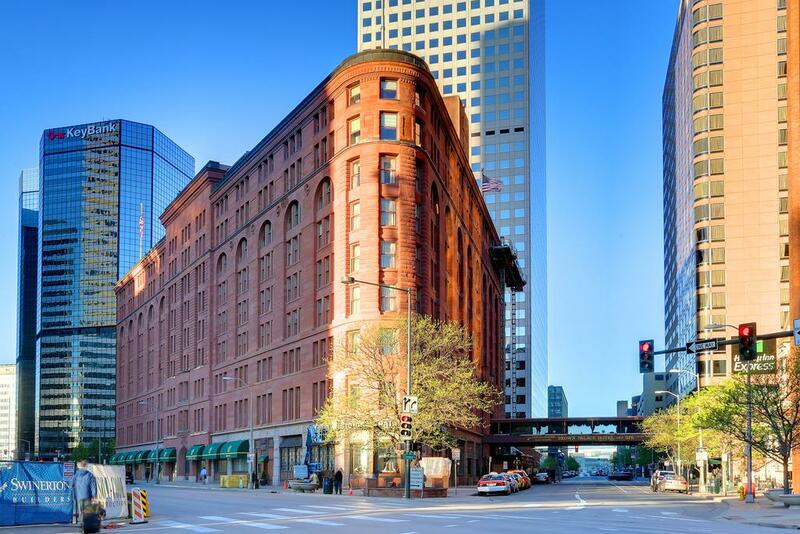 Both events will take place at the Brown Palace Hotel and REALTOR® Day at the Capitol will conclude this year at the Denver Post Building due to renovations taking place at the Colorado State Capitol Building. The Economic Summit is Tuesday, February 5th with REALTOR® Day at the Capitol on Wednesday, February 6th. REALTOR® Day at the Capitol is a great opportunity for you to learn about and discuss important policy issues affecting the real estate industry this upcoming year, as well as hear from and network with your legislators. The REALTOR® Day at the Capitol luncheon will feature Chris Brown, the Director of Policy and Research with the Common Sense Policy Roundtable (CSPR). Mr. Brown leads the research efforts of CSPR and the REMI Partners to provide insightful, accurate and actionable information on the implications of public policy issues throughout the state of Colorado. **REALTOR® Day at the Capitol will conclude this year at the Denver Post Building due to renovations taking place at the Colorado State Capitol Building. No events will be taking place at the Colorado State Capitol Building this year. Registration Fees: THE EVENT IS SOLD OUT. WE HOPE TO SEE YOU NEXT YEAR. The Brown Palace Hotel and Spa invites you to experience a new level of luxury Downtown Denver hotels. Home to a collection of 241 distinct guestrooms and suites, including our new Signature Inclusive rooms, this celebrated choice in Downtown Denver hotels spoils guests with contemporary amenities like twice daily maid service, plush terry robes, complimentary Wi-Fi in Lobby and pure artesian water from our own well. The hotel also boasts six unique restaurants and bars, a boutique spa and nearly 20,000 square feet of meeting space, making the Brown Palace as appropriate for an adventurous jetsetter as it is for a corporate-minded CEO. At The Brown Palace, guests enjoy access to timeless luxury with a unique sense of place, original experiences and world-class service and amenities. There’s simply no better way to experience the Mile High City. The CAR Group room block is full. Please visit Hotels.com to book your room at the Brown Palace or nearby hotel. Keynote Speaker Elliot Eisenberg, Ph.D.
4:15pm-6:00pm: RPAC Reception ~ Brown Palace Club – Come meet your state legislator! $25 RPAC investment to attend. Valet parking is available at the Brown Palace hotel for a rate of $20 per vehicle per 6 hours.